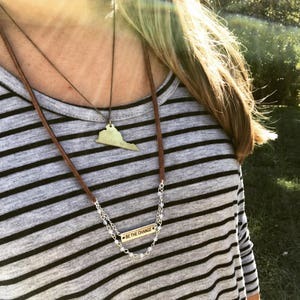 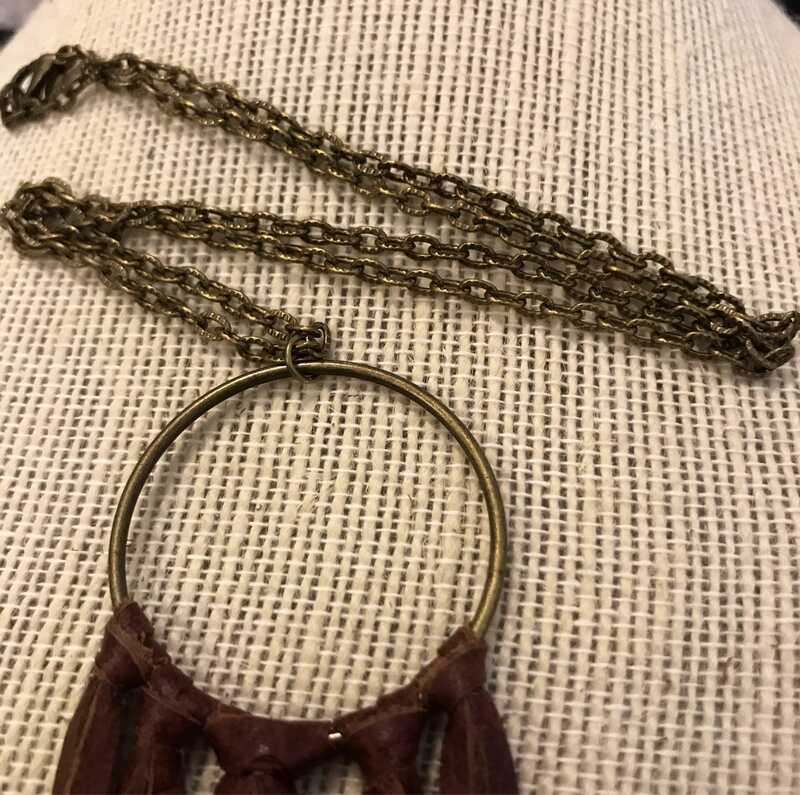 Available on a leather necklace, or a 20 inch antique bronze chain. 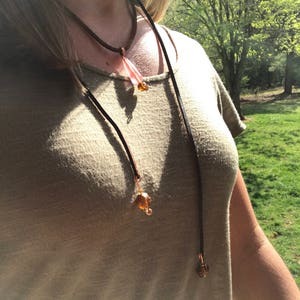 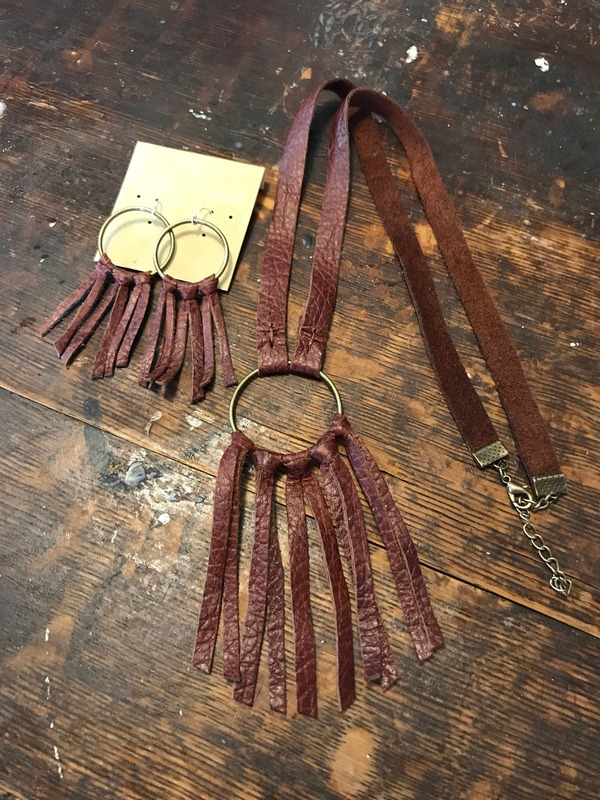 The Leather necklace is finished with a lobster clasp, and is adjustable in length. 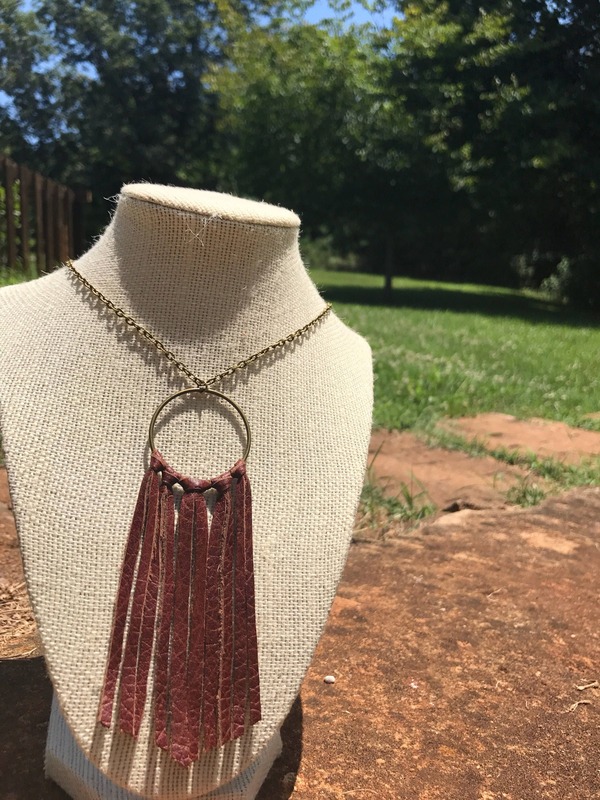 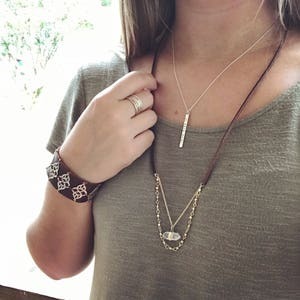 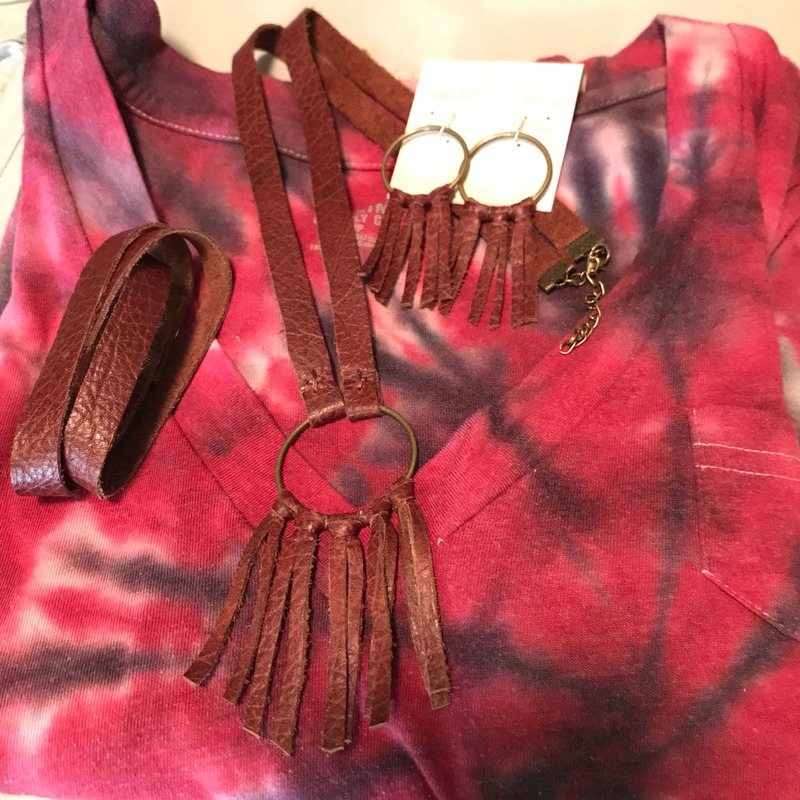 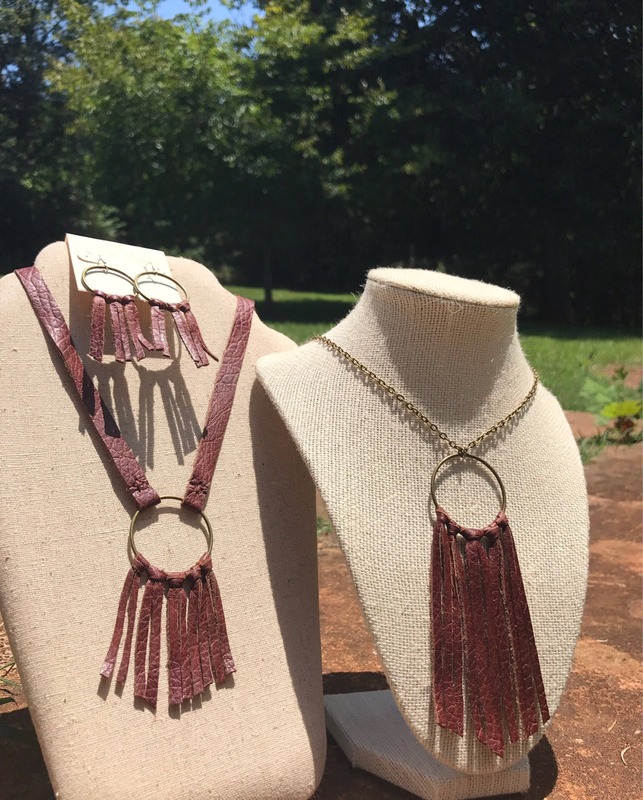 The Leather necklace is a bit longer than the chain option, so the fringe is a bit shorter for a nice balance! 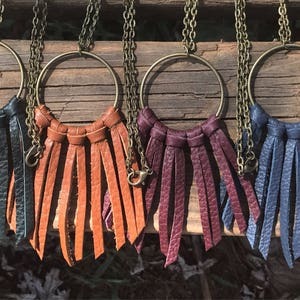 On the chain, the fringe hangs about 3.5inches, while the fringe on the leather necklace hangs about 2 inches.